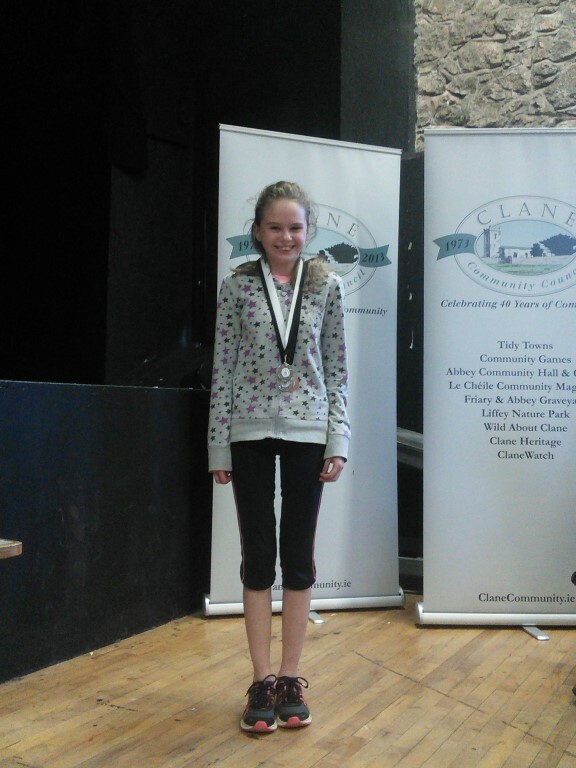 Our very own Martina Healy has been nominated to represent County Kildare in the Community Games Golden Jubilee Volunteer award. Congrats Martina! This entry was posted in Community Games and tagged Clane, Community Games on March 4, 2017 by admin. 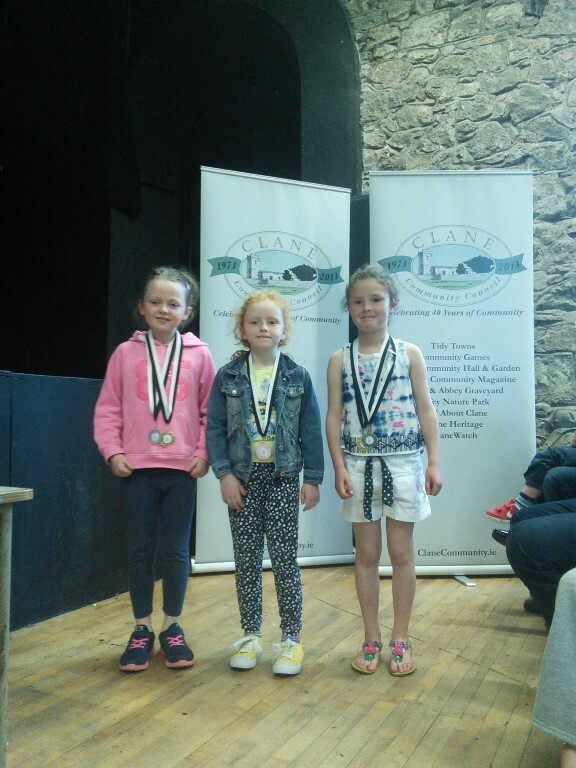 Congratulations to all the winners of the recent Clane and Rathcoffey Community Games track and field and swimming events. 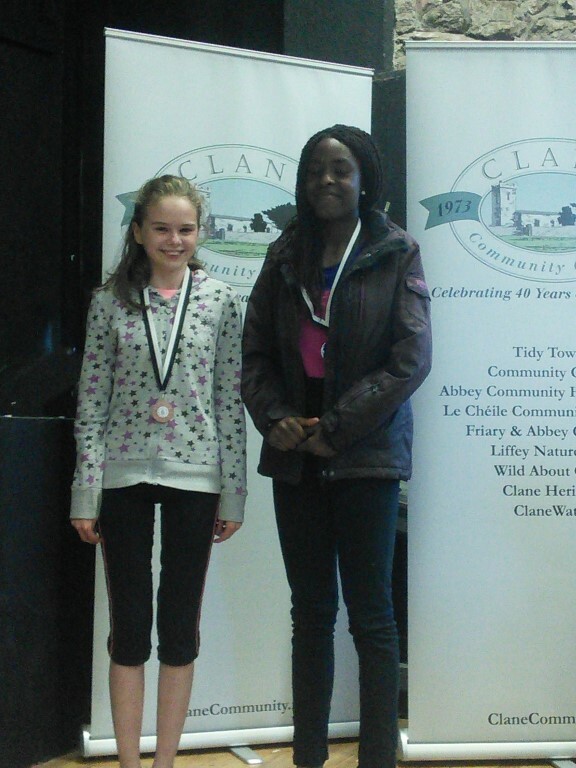 They were recently presented with their medals in an awards ceremony in the Abbey Community Centre. 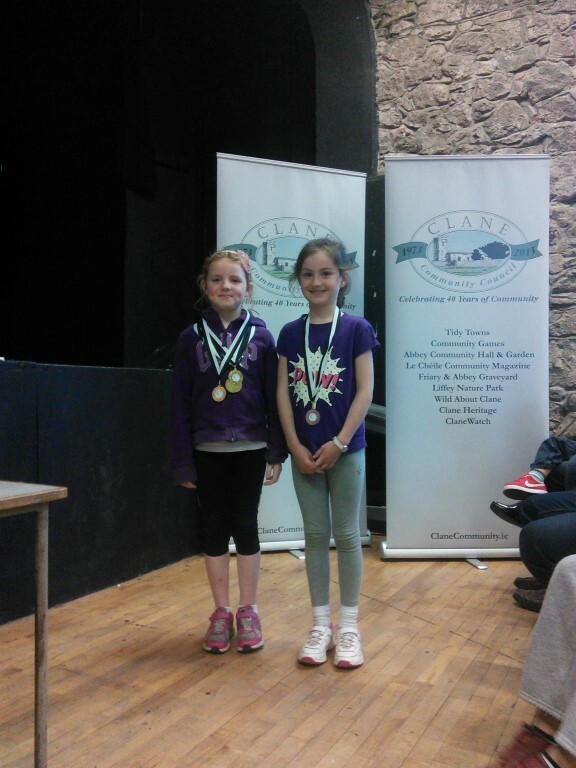 The listings of the winners in the swimming competition can be found in the March Le Chéile and the winners of the track and field competition in the June Le Chéile. 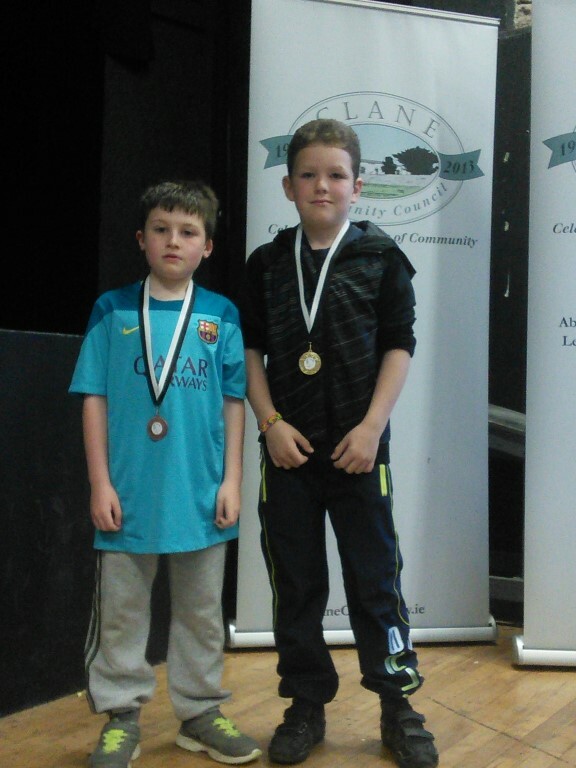 A big thank you to the hard-working committee led by Martina Healy that managed the events, to all the local schools for helping spread the word and facilitating the games, to Clane Athletic Club for assisting with the Long Jump, and to everyone else who helped make the events such a success. 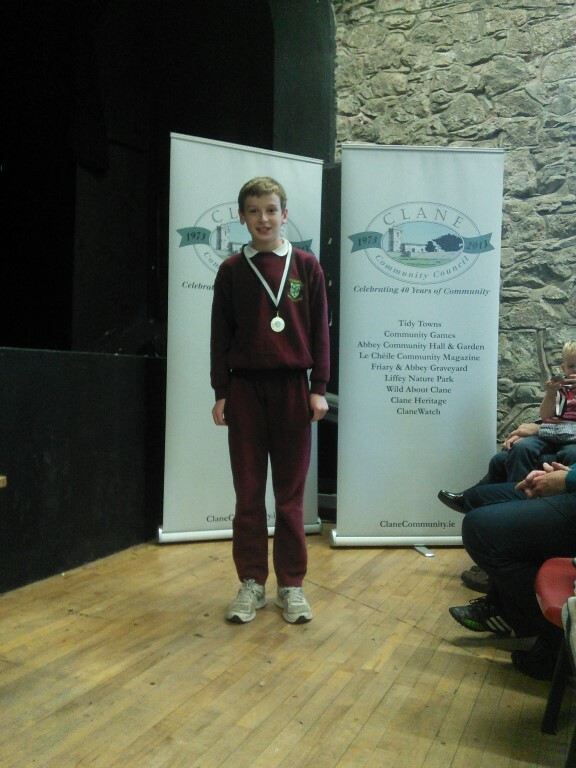 Best of luck to those young athletes who will go on to represent Clane and Rathcoffey in the County finals…and indeed beyond! This entry was posted in Community Games and tagged awards, Community Games on June 19, 2014 by admin. 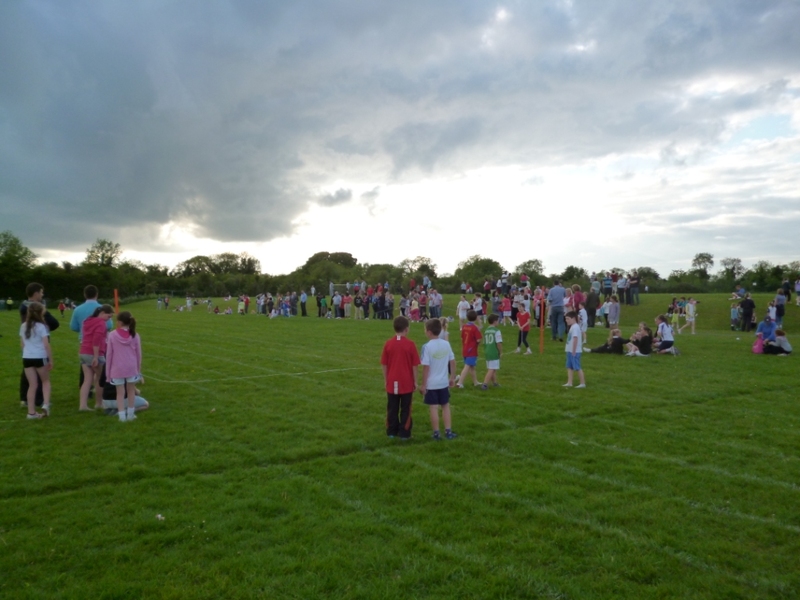 Please note that the Clane & Rathcoffey Community Games Track and Field events are rescheduled to take place this coming Saturday May 31st in the grounds of Scoil Mhuire. The events will begin at 11am. The long jump competition will take place at the long-jump pit in Scoil Mhuire on Thursday May 29th starting at 6:30pm. This entry was posted in Community Games and tagged Community Games on May 28, 2014 by admin. 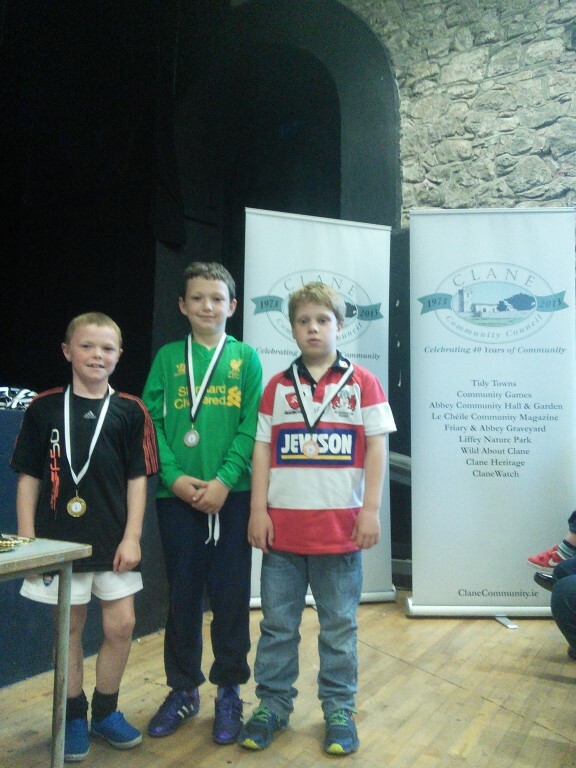 Community Games – Mixed U10 Football Team win the All-Ireland! 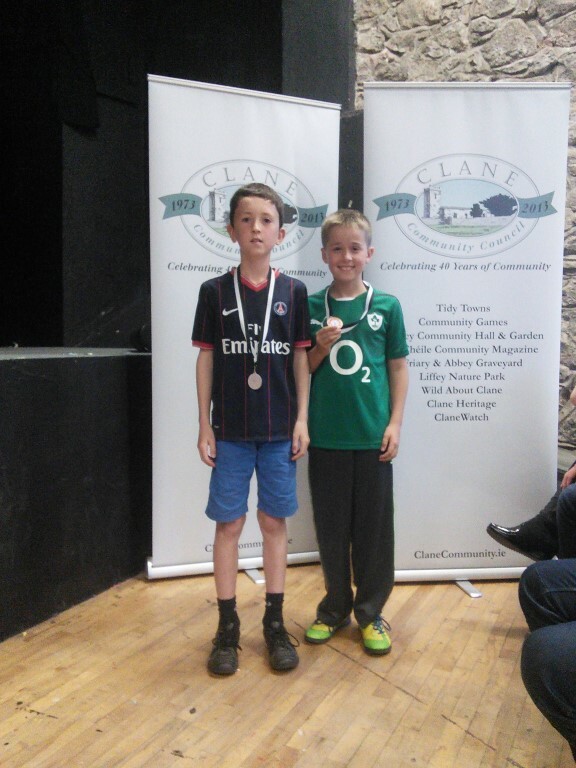 Congratulations to the Mixed Under 10 Clane and Rathcoffey Gaelic Football team that recently won the All-Ireland Community Games final in Athlone. They played brilliantly and have done their community very proud. 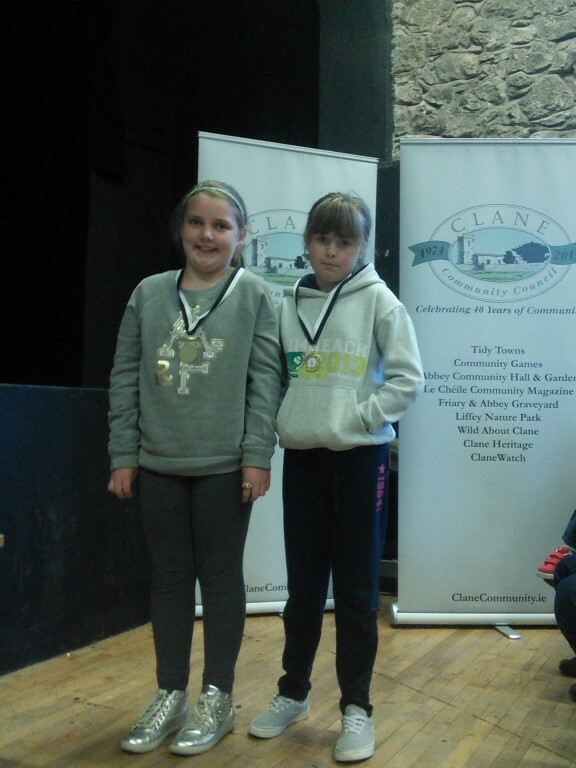 A sincere thanks too to all who helped run and support Clane and Rathcoffey Community Games this year – the team would not have been able to make it all the way to the finals without your generous support. This entry was posted in Community Games and tagged Community Games on September 22, 2013 by admin. 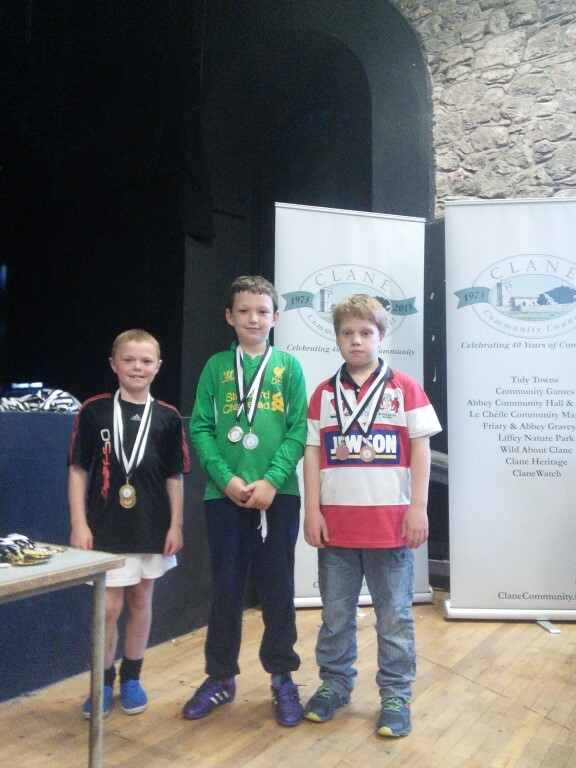 Mixed Under-10s Gaelic Football team make it to the All Ireland Finals! 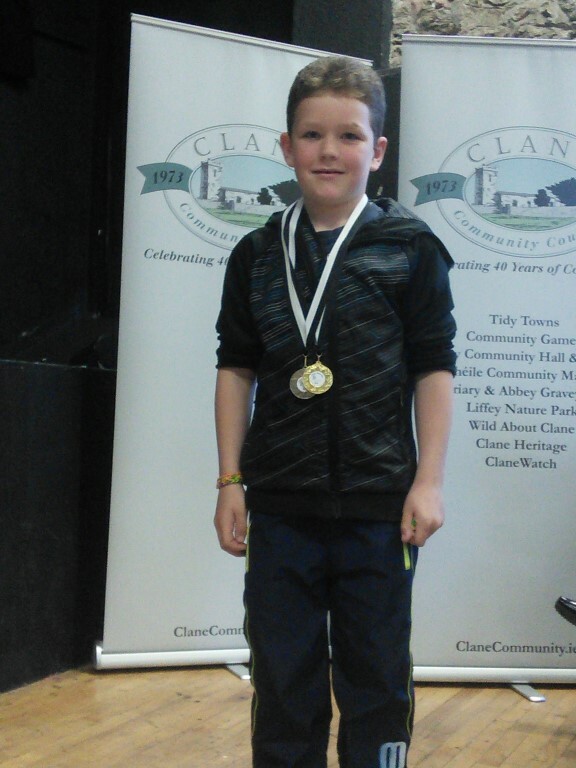 Congratulations to the Clane and Rathcoffey Community Games Mixed Under-10 Gaelic Football team that recently won the Leinster finals of their competition. 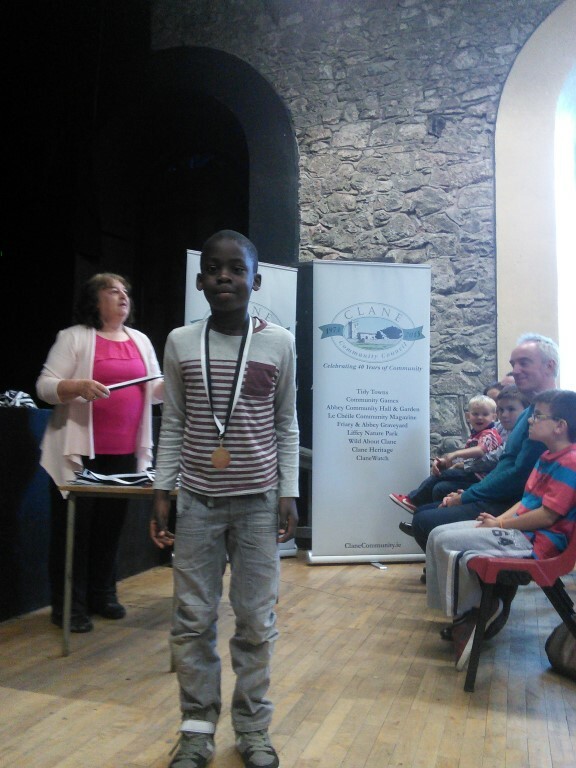 Next stop the Athlone Institute of Technology for the Community Games National Finals. 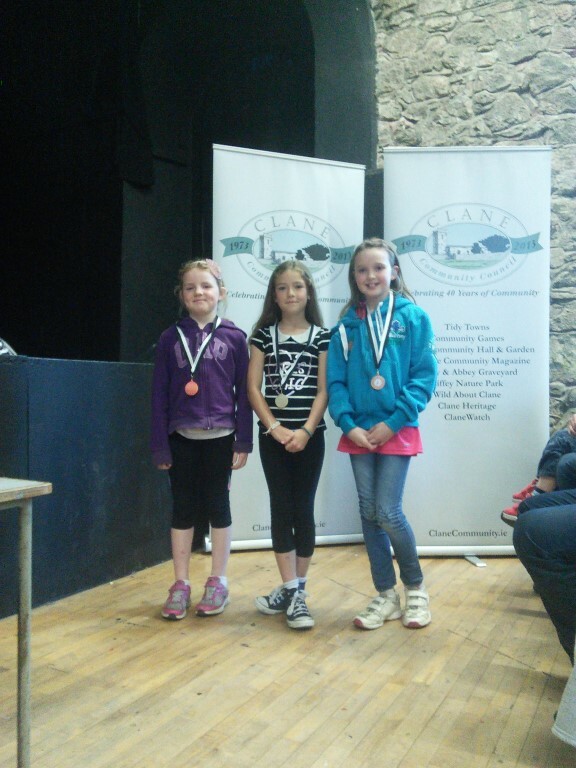 The best of luck to our young athletes who will be representing Clane and Rathcoffey on the big day. 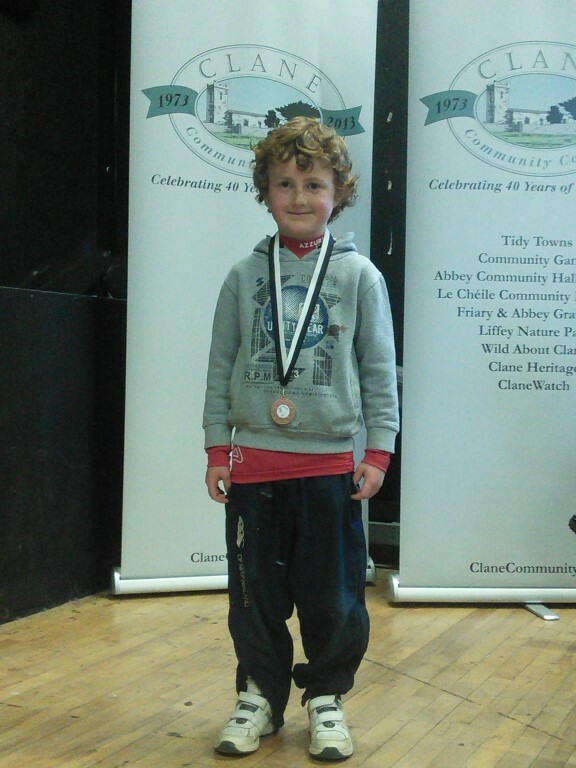 This entry was posted in Community Games and tagged Clane, Community Games on July 10, 2013 by admin. 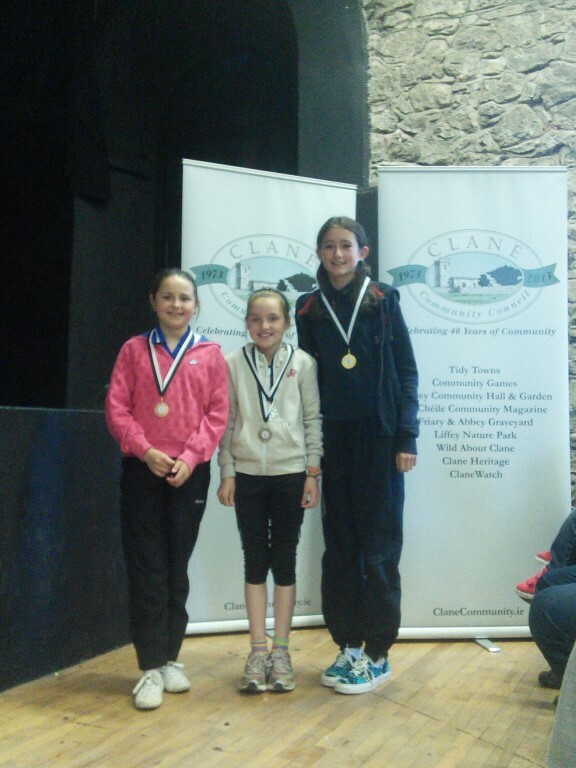 Entry forms are now being circulated through the local schools for this year’s Clane & Rathcoffey Community Games Track and Field day. Please return completed forms as soon as possible. The big day is Wednesday May 15th in Scoil Mhuire, events starting at 6pm sharp. This entry was posted in Community Games and tagged Community Games on April 30, 2013 by admin. 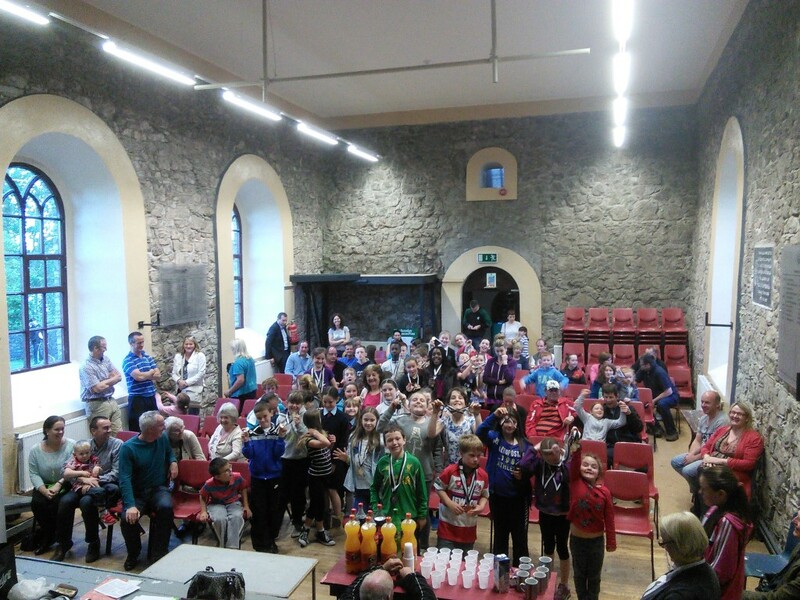 A big crowd gathered in the Abbey on the evening of June 6th for a special occassion: the prize-giving ceremony for the Clane and Rathcoffey Community Games 2012. 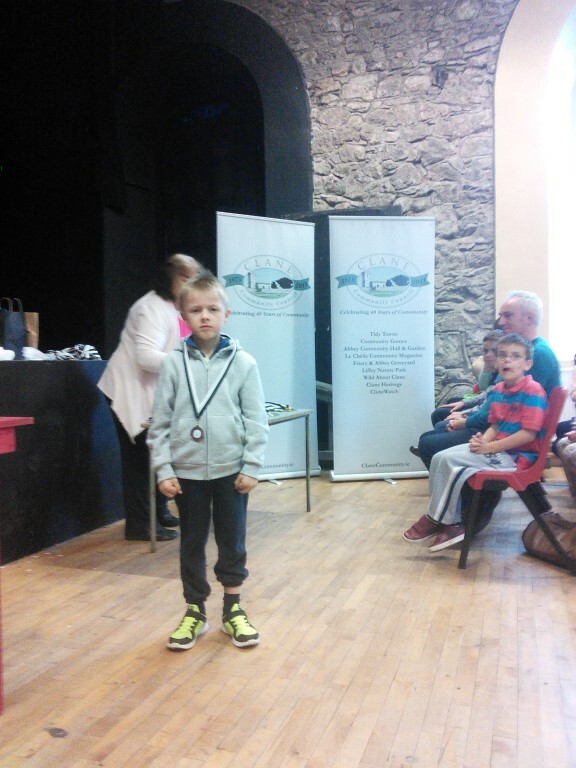 Dozens of young men and women were awarded gold, silver and bronze medals by the Community Games organising committee and there were smiles all around. In a few short weeks we are going to be cheering on men and women wearing the Irish colours on an international stage. Perhaps in a few short years we will be cheering on some of the wonderful young athletes photographed below. Well done to everyone who participated. A special thanks to all the Mums and Dads and Guardians that supported their children in the games, and to the hard-working Community Games sub-committee that organised and ran the event. 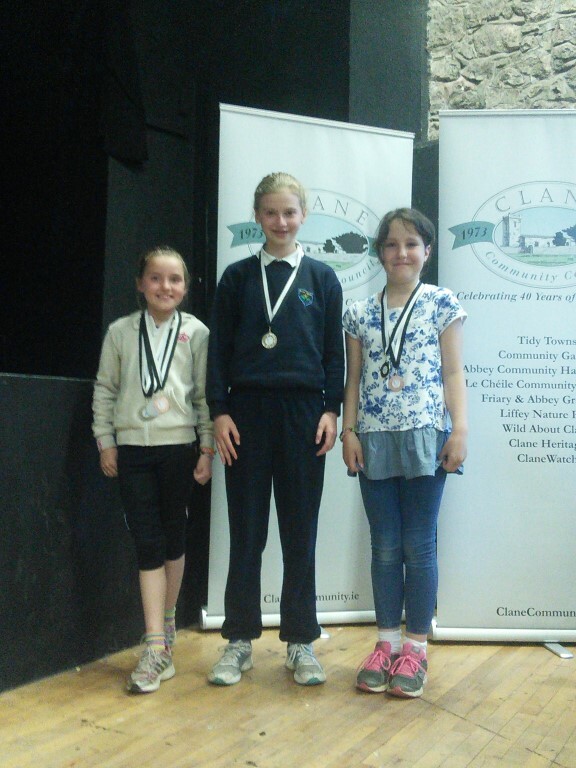 Best of luck to those that will represent Clane and Rathcoffey in the Kildare county finals. This entry was posted in Community Games, Event and tagged Community Games on June 6, 2012 by jkennedy. 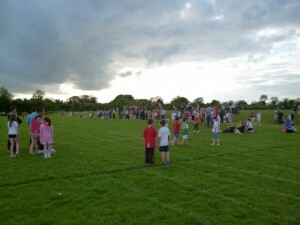 There was a big turnout in the grounds of Scoil Mhuire Clane on Tuesday May 29th for the Track and Field events of Clane and Rathcoffey’s Community Games 2012. This year the competition was blessed with perfect weather, and the hardworking organisers managed to get through all of the events in the one evening with some daylight to spare. It was wonderful to see so many young athletes enjoying the fresh air and doing so well: a big congratulations to all those who participated in the races. A special thanks too to the Mums, Dads and Guardians that supported their children, Scoil Mhuire for making their grounds available, and all the volunteers on the Community Games sub-committee that helped make the day run so smoothly. Prizes for the various races will be presented in the Abbey on Tuesday the 5th of June at 7pm. All are welcome to this celebration – we hope to see you there. This entry was posted in Community Games, Event and tagged Community Games on June 1, 2012 by jkennedy. U/12 Girls Football: Unfortunately the Clane and Rathcoffey team were beaten at home by Monasterevin on Monday 30th April. 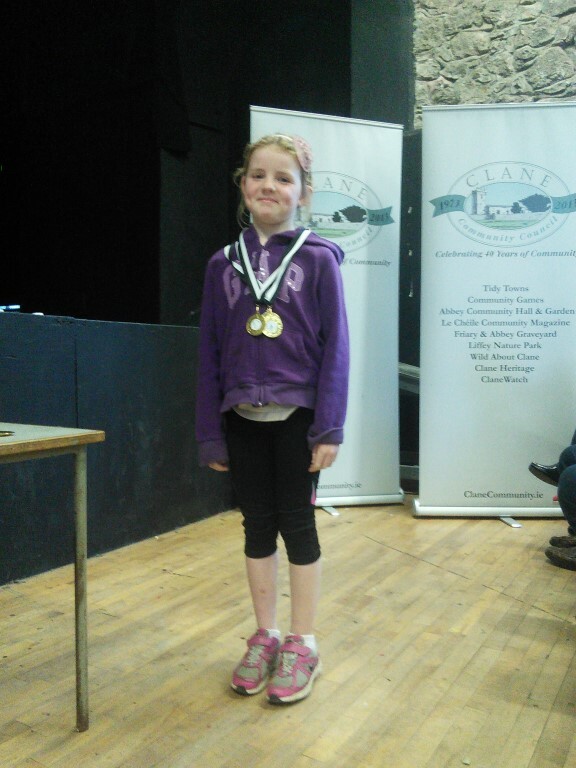 This entry was posted in Clane Community Council, Community Games and tagged Clane, Community Games on May 9, 2012 by jkennedy. Congratulations to the Clane & Rathcoffey Community Games Gaelic Football Under 10’s team who kicked off their campaign in style with a great win away to Monasterevin last Thursday evening (5th April) in Ballykelly. The final score was Monasterevin 1-00, Clane & Rathcoffey 4-8. Here’s wishing them and all our Community Games athletes and competitors the best of luck. Information on our ever-popular summer games, to be held May 27th, will be posted here in the coming weeks. 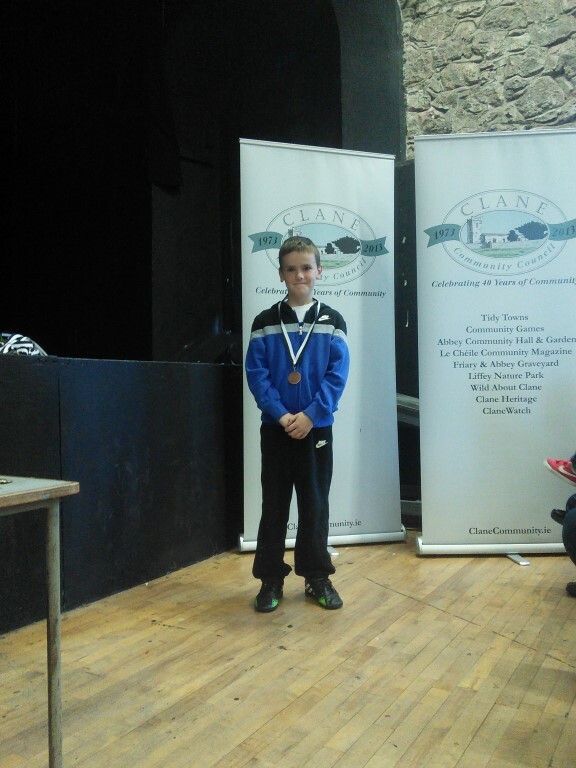 This entry was posted in Clane Community Council, Community Games and tagged Clane, Community Games on April 10, 2012 by jkennedy. 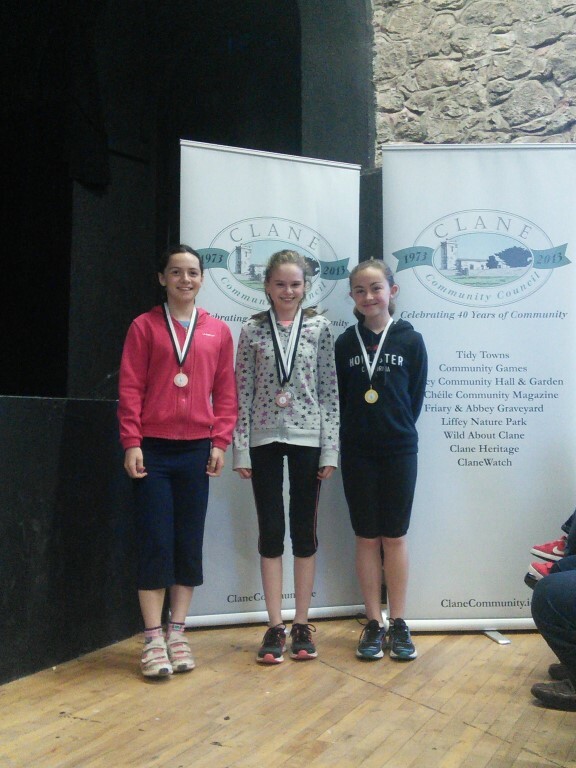 Congratulations to all the young sports men and women from Clane and Rathcoffey that represented Kildare at the the recent National Community Games finals. 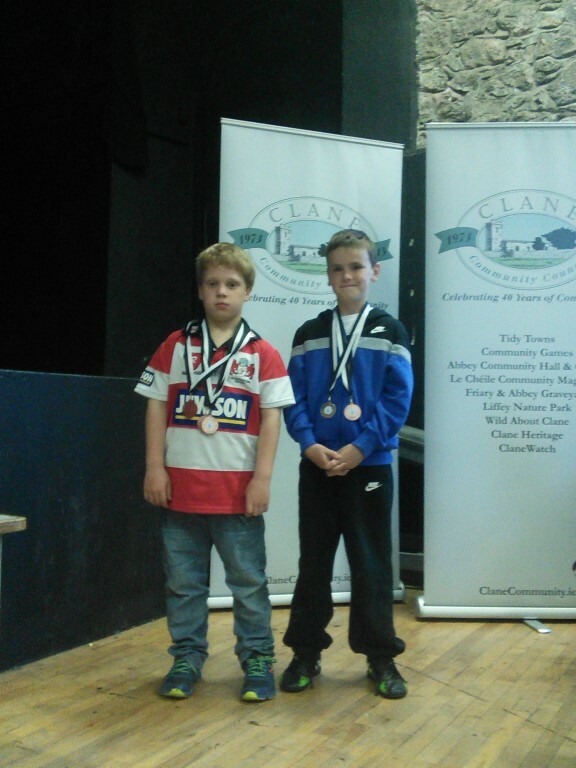 Our 12 local swimmers had a very successful weekend at the National Community Games finals. 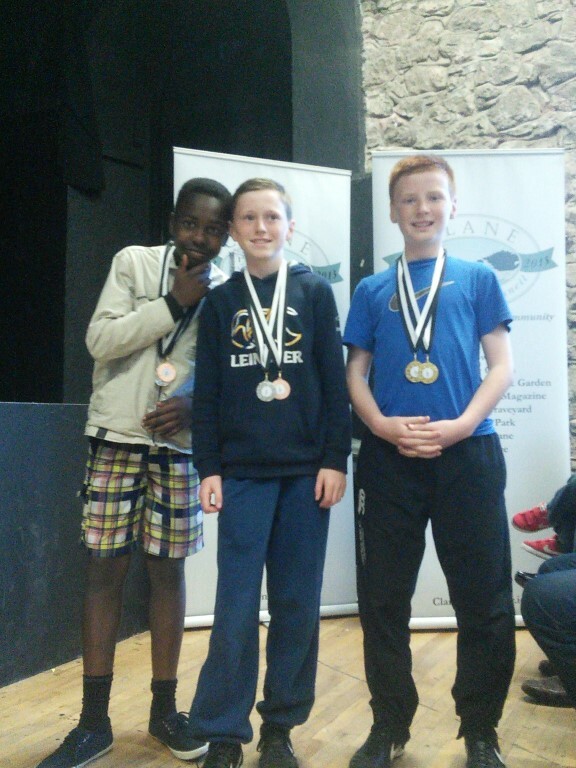 While a number of the boys had a tough draw this year in the heats, they achieved excellent success with Matthew Walsh-Hussey receiving a Bronze medal in the boys U-8 freestyle and Enda O’Connell receiving a 4th place bronze medal in the boys u-14 freestyle. The remainder of the team performed well with Eoghan Maguire reaching the semi-finals and Peter Doyle swimming strongly in his heat. A very young boys relay team – age 13 – performed exceptionally in the u-16 relay as they reached the semi-final. We expect great things from this team in the coming years. 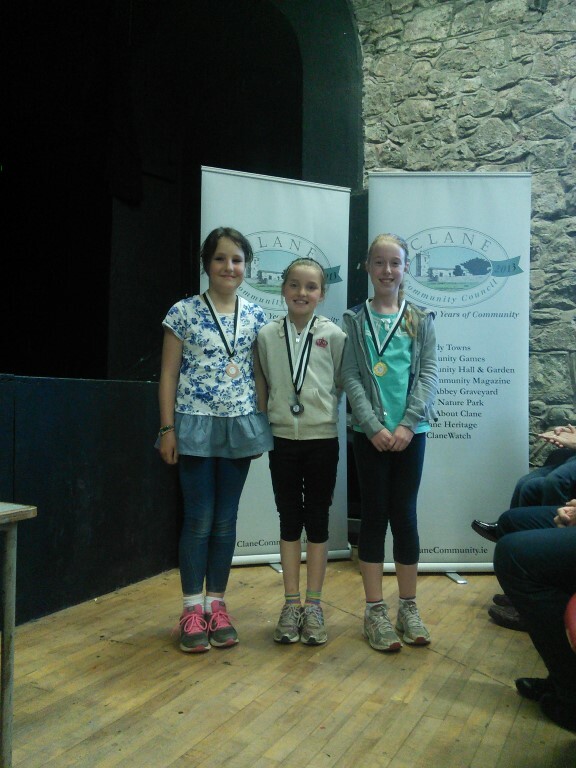 On Sunday, the girls team also performed very well in their respective heats with Aine Maguire reaching the u-8 semi-finals; and Claire Delaney, Zoe Mason and Eimear O’Connell both coming 4th in very tough heats. The girls u-16 relay team performed very well by winning their semi-finals, only to be subsequently disqualified on a technical infringement – a very disappointing result to an excellent team performance by the girls. 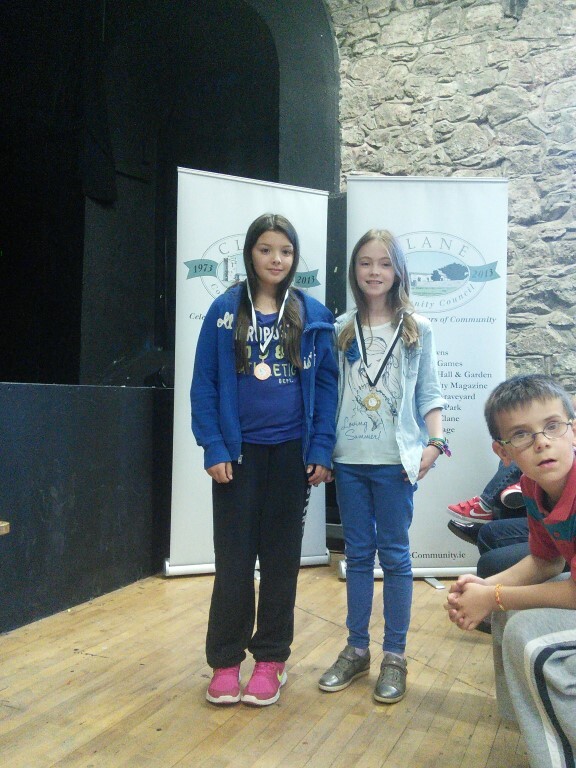 A great exciting weekend with some excellent swimming by all competitors. Thank you to the Westgrove Hotel whom facilitated training sessions for the squad over the summer. A very special Thank You to coach Paul McLoughlin for all his experience, time, energy, enthusiasm and most of all fun. 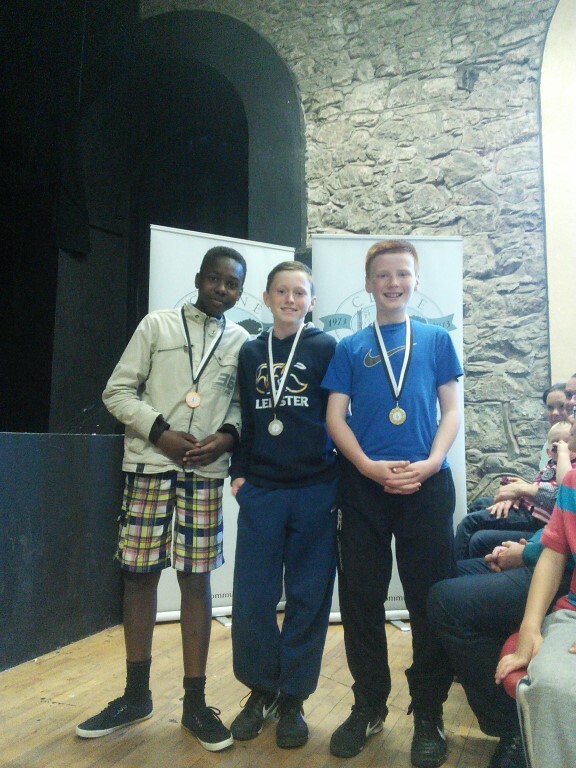 In the Gaelic football events our boys made it all the way to the All Ireland final and picked up silver medals, losing out to Carrick-on-Shannon in the end. 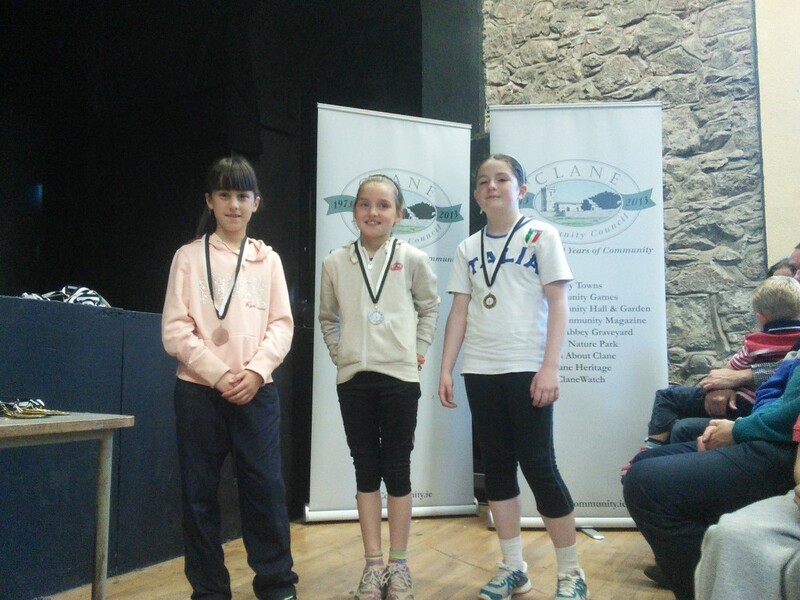 our under-12 girls also made it all the way to the medals, being awarded bronze after winning their play off. Well done to everyone who participated in the games, and a big thank you to all those who helped make it possible. 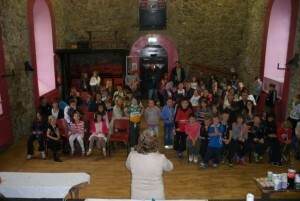 The coaches, the organisers, the parents: everyone who supported Clane Community Games 2011. 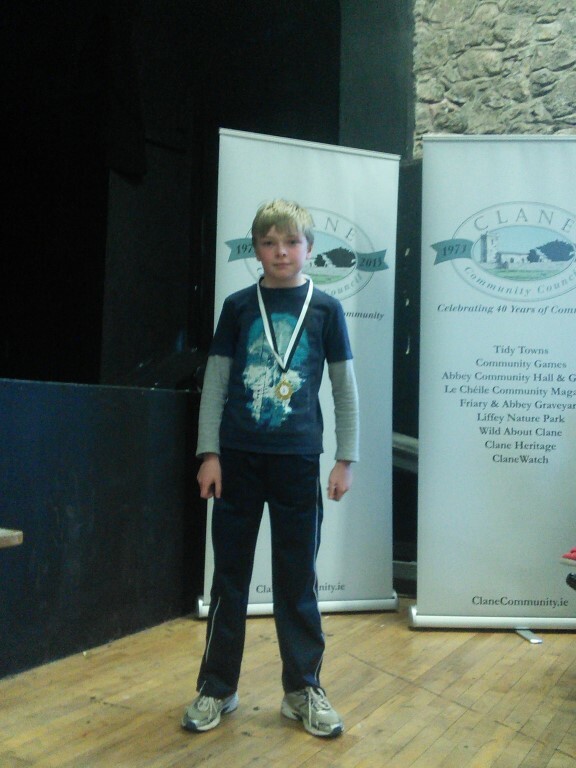 This entry was posted in Community Games, Event and tagged Clane, Community Games on August 30, 2011 by jkennedy. Best of luck to our young sports-men and -women! 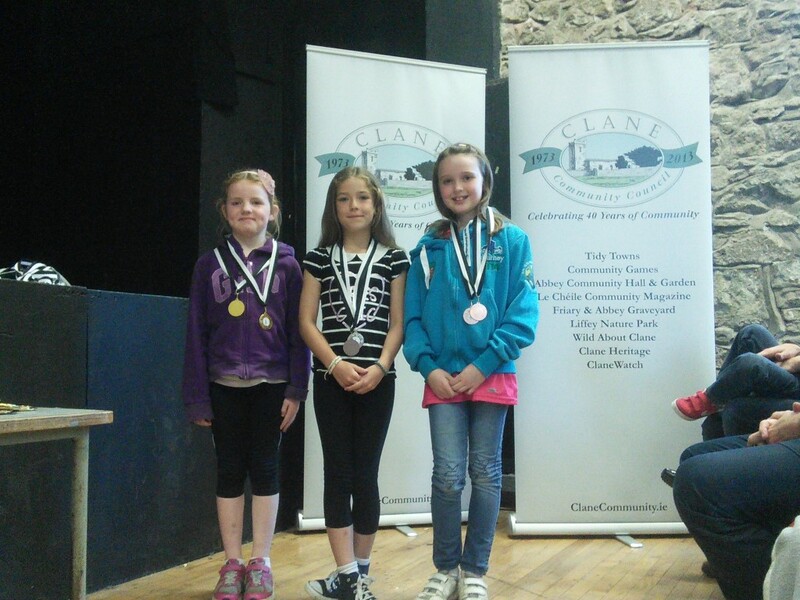 Clane’s Community Games is having a tremendous year. 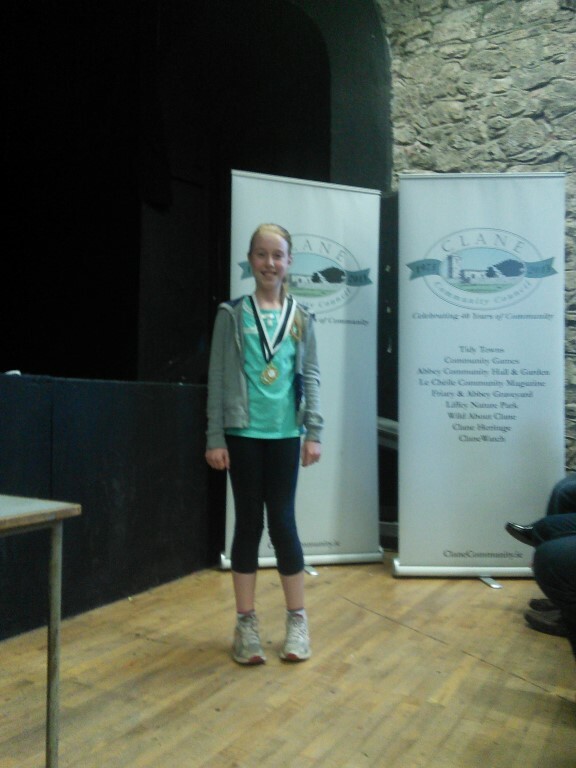 After a very successful run of local and regional events, two teams from Clane/Rathcoffey are this weekend representing Leinster (Kildare – Clane) in the National Community Games Finals in Athlone. 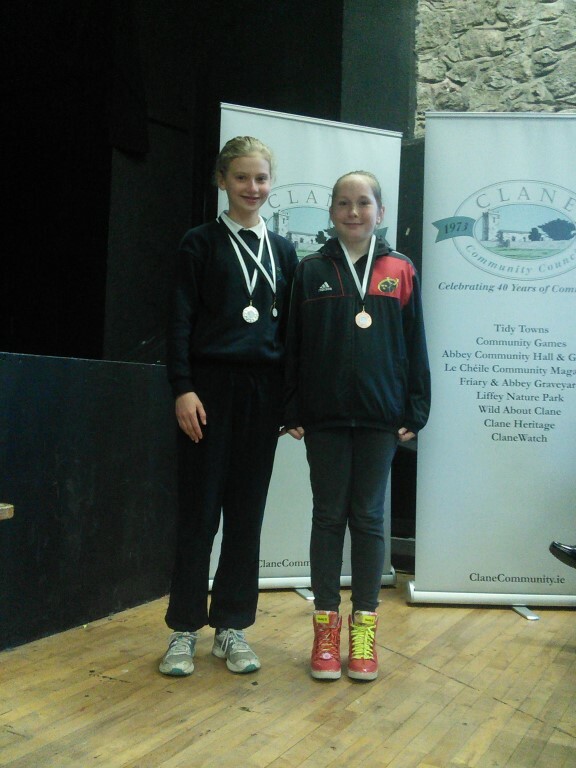 A record number of 12 of our swimmers are also representing Kildare. The Under 10 boys Gaelic football team are scheduled to play the Muster representatives (Kerry – Rathmore/ Gneeveguilla) in the 2nd semi-final at 11.00am on Saturday 13th August. The winners of this play the winners of the 1st semi-final between Connaught (Leitrim – Carrick-on-Shannon) v Ulster (Down – Clonduff) on Sunday 14th August. The Under 12 girls Gaelic football team are scheduled to play Munster (Cork – Glanmire) at 3.30pm on Saturday 13th August. The full details of all these matches are below. Our yong swimmers are also having a fantastic year. In fact more of Kildare’s representatives come from Clane/Rathcoffey than anywhere else: we have 12 swimmers representing Kildare in this weekends competition – all the details are below. The majority of these children have trained in the Health & Leisure Club on the Celbridge road which has recently closed. However, we are grateful to the Westgrove Hotel for facilitating training sessions for the squad over the summer, coached by Paul McLoughlin. Here’s wishing all the young sportsmen and women the best of luck in their matches. 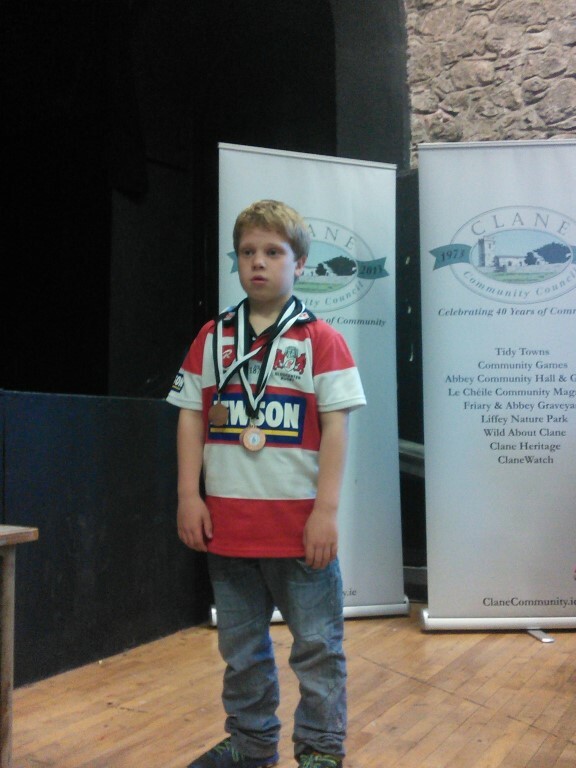 This entry was posted in Community Games, Event and tagged Clane, Community Games on August 13, 2011 by jkennedy. 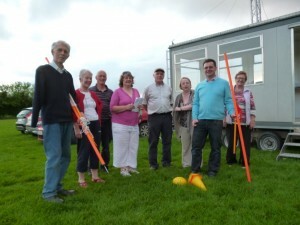 Community Games 2011: On your marks! 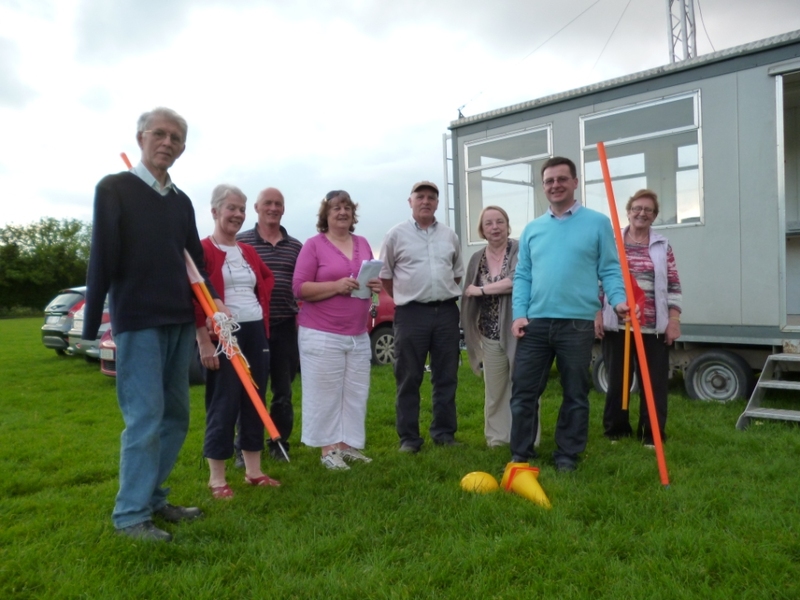 Community Games for Clane and Rathcoffey are in the starting blocks for 2011. Are you ready? Get set! The following is the list of up-coming events which will be considered, by what date they must be applied for and who to contact. Details are also posted in the local schools. This entry was posted in Community Games and tagged Community Games on December 12, 2010 by jkennedy. 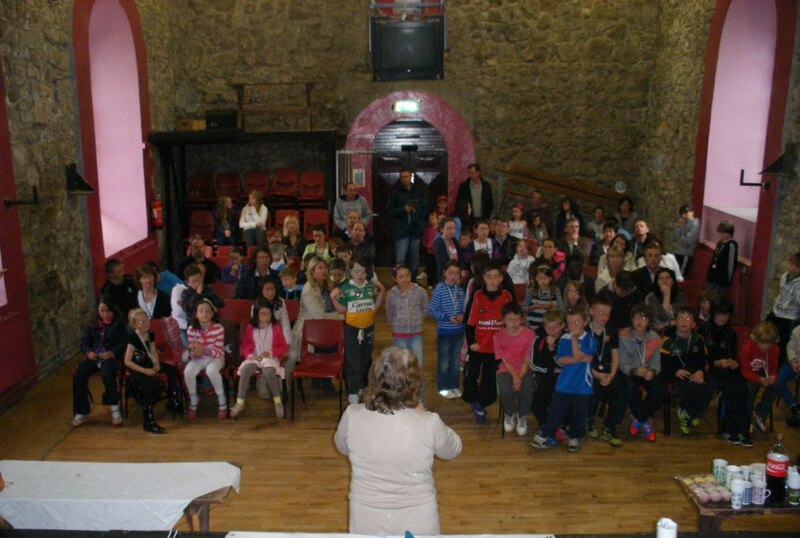 All are encouraged to attend the annual Clane Community Games AGM to be held on Tuesday November 16th at 8pm in the Abbey. Come along to find out about the success of this years Community Games, and help shape plans for 2011. This entry was posted in Community Games and tagged Community Games on November 4, 2010 by jkennedy. 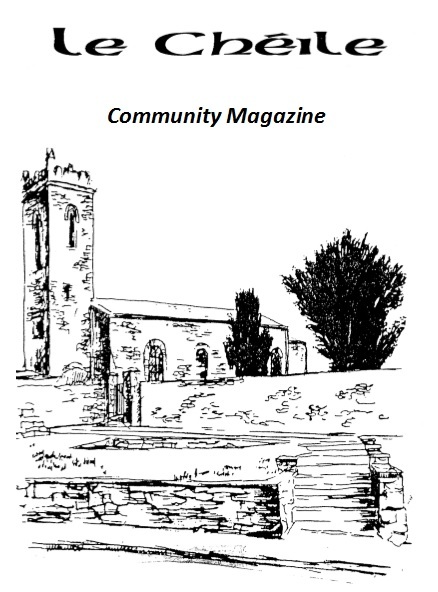 This entry was posted in Community Games, Event, Tidy Towns and tagged Best Presented Premises, Community Games, council, Person of the Year, results, Tidy Estate Award, Tidy Towns on October 19, 2010 by jkennedy.